What is Generational Wealth and TIME Freedom? 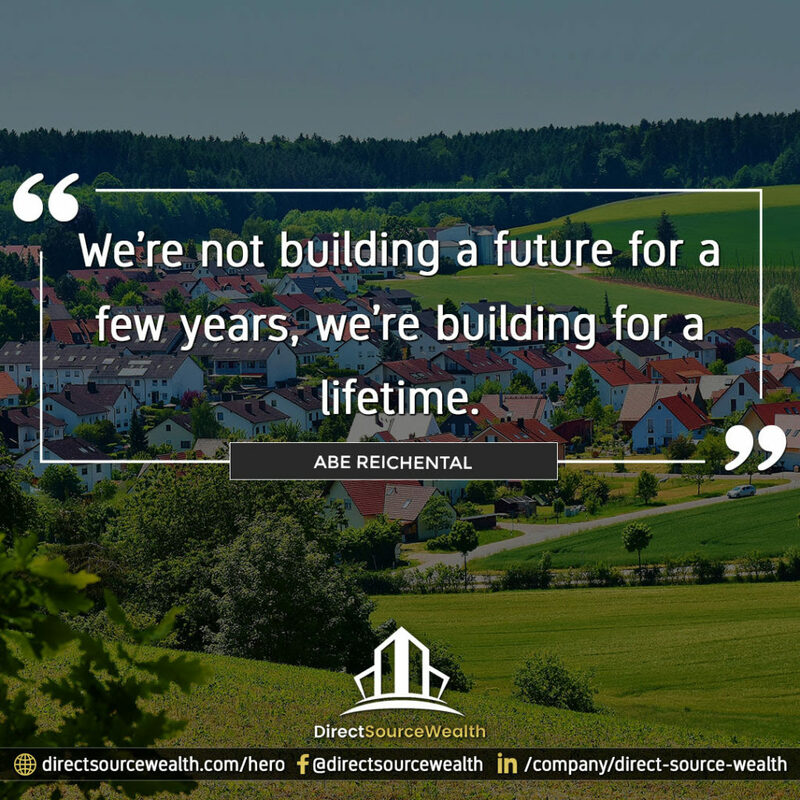 Direct Source Wealth (DSW) is in the business of helping investors create MORE than just lifetime wealth; DSW strives to deliver “Generational Wealth” which is wealth that can be passed down from one generation to the next. Direct Source Wealth and its co-investors acquire long-term buy and hold investments in the multi-family real estate sector. Are you looking to build passive wealth in real estate? Why try a 15-minute complimentary Strategy Session? A Strategy Session is designed to help YOU identify if passive real estate investing fits into your long-term goals. Let’s discuss your goals and see how we can help you achieve them! Strategy Sessions are a complimentary service we provide with no pressure or obligation to invest.